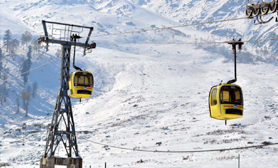 Asia’s largest and highest cable car project lead to Kongdori Mountain perched at an altitude of 3099.6 meters from the resort situated in Gulmarg. 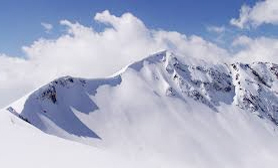 A bowl shaped area, it is known for its abundant opportunities for enjoyable sessions of powder skiing and snowboarding. 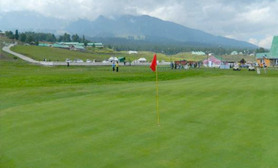 As a popular destination for skiing, Kongdori has earned fame as one of the best Gulmarg tourist places to visit. 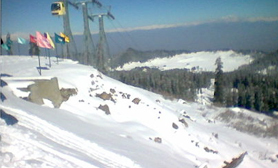 A lofty mountain that adjoins Apharwat peak, Kongdori can rightly be called the skier’s paradise. 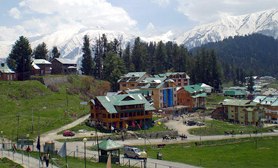 Jammu & Kashmir tourism department credit Kongdori for catching the eyes of travel enthusiasts. 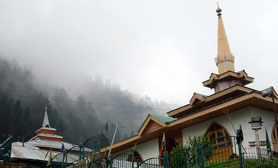 Rendering a perfect blend of adventure and recreation, Kongdori is a little paradise in its own right.